Fanatic Tri Wave Fins - rare as a humble politician! I have broken a couple of centre fins off my Fanatic Tri fin 89 and 82 litre. One uses Tf 18 the other TF 17. Rang all the Aussie dealers and no replacement available. One of them tried Europe and nothing there! Any advice? Really liked the standard fin and still have the standard side fins. Boards hardly used and really like them. Any other sources? Those black MFC ones were fragile as hell. Total crap. I'd have that TF18 if you wanna part with it, repair and slotbox. 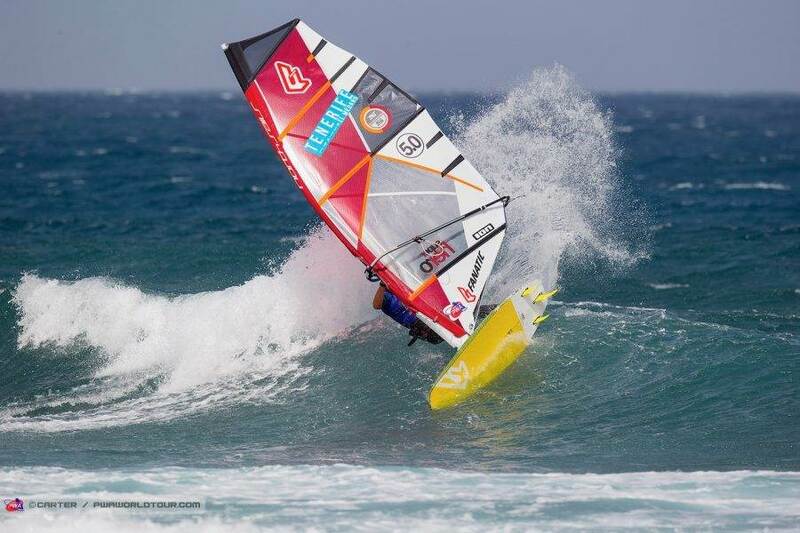 Ditch them and get some plastic fantastic... especially if you sail reef breaks you are better off with a k4 fin IMHO. I use the Stubby rears in my Fanatic Tri-Wave boards: www.k4fins.com/product/stubby-rears/I looked at a full set in G10 from different companies and just couldn't justify spending $300+ for a set of fins that can get destroyed the first time you hit a rock. New K4's are actually really good IMHO. The early ones did feel reeeeeally spongey but the new ones are the schizzle. Ezzy sides and a stubby rear on a thruster are a great match. The fin saver tabs that come with the fins are also a great idea. I have seen (and fixed) Stehseglers G10 fins and it looks like he drags his board on the road from his house - K4's...... no such problem. 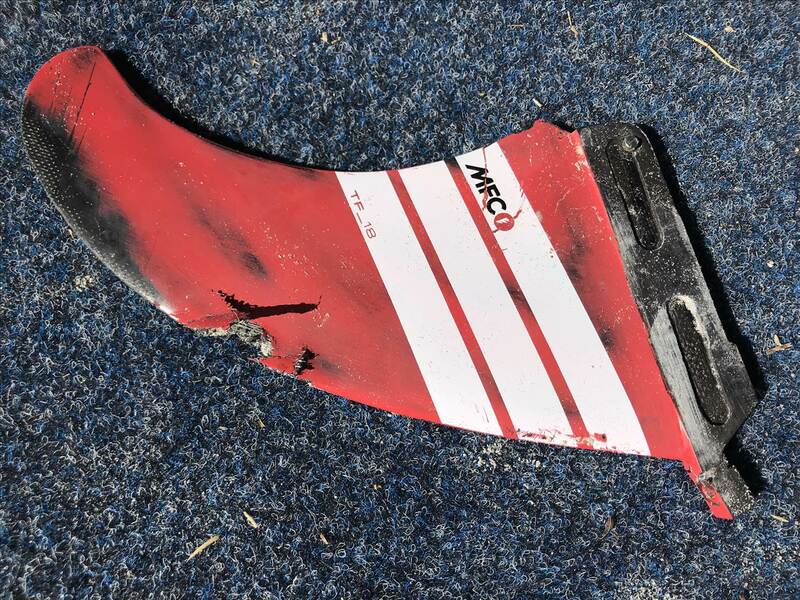 If the tab wasn't toast (which it is) the fin part could have been repairable. Have you tried these sites? Good stuff from both places. I still can't imagine a 18cm centre fin made out of plastic like 1980's Bombora fins. Short fins maybe, but 18cm of plastic...? I'll just leave this here.. :) www.boardseekermag.com/features/k4-fang/ And also add that 3 of last years top 6 on the PWA were using our fins. We've come a long way since the first versions. im using the K4s that come on this years RRDs and can highly rate them. Take a closer look next time you carry my board down to the beach!! Thats great - but for those who are really hard to convince how about some numbers? Or time to cycle back to centre when load is removed (reflex response)? 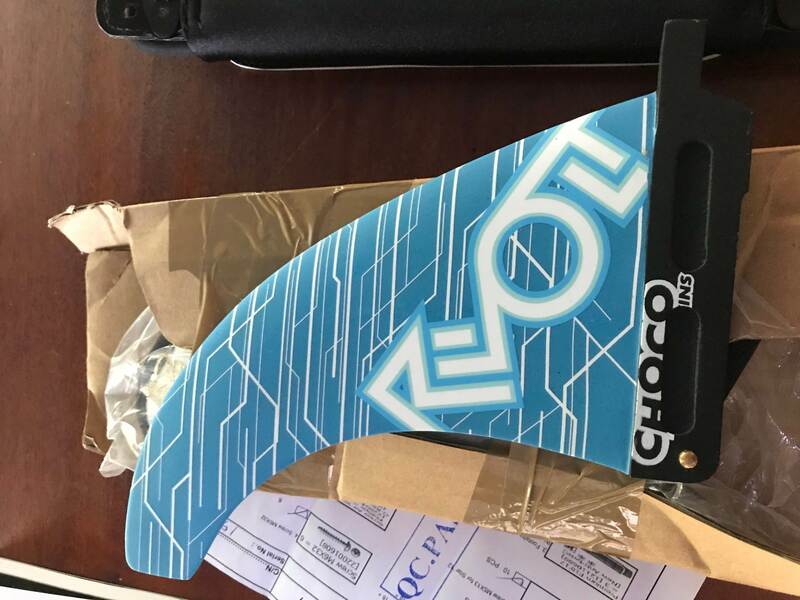 Sorry but I can't see any thermoplastic will compare, and "better than the previous material" is not same as "good as G-10 or carbon"
50% of winners in PWA slalom or race....? For what it's worth I tried out one of the K4 fins about 2 years ago and wasn't too impressed when compared to G10. After killing the G10 centre fin on my Tri-Wave 106 (it cracked along the base) I looked at Black Project Fins as well as MFCs. The Black Project Fins looked awesome but I wanted to try different sizes as well as shapes. After adding up the cost of getting 3 centre fins and a couple of sides I quickly abandoned the idea. It would have cost me nearly a grand all up. 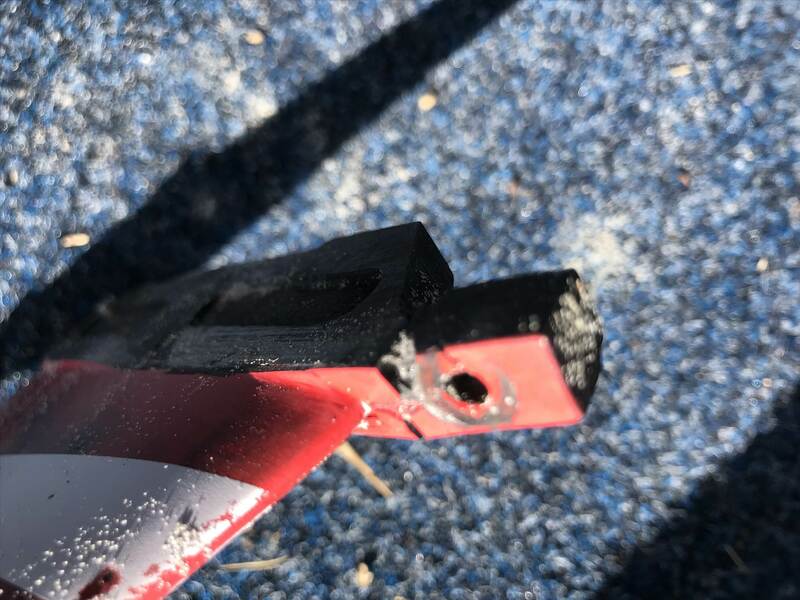 Big Al mentioned that the K4 fins weren't as soft as they used to be. I ended up ordering a stack of K4 fins from them in different sizes and shapes for about $250. Are they better then the once I tried a couple of years ago? I'd say yes. Are as good as G10 fins? I don't know but given their price I don't really care. I don't have a fin sponsor and so usually pay full price for fins. Given the number of G10 fins I have sacrificed to rocks, reefs and sea turtles I think I'll probably stick with the cheaper options for now. How much did that fin set you back? I bought a set of Fanatic / Choco fins for a quad a while back from a retailer that's no longer around. They only reluctantly sold them to me... from memory it cost me $390 for a set of 4 fins. Choco's are awesome fins my favourite brand but very expensive. Ive tried a few brands in order of preference id rate choco as no 1 fast with good grip, no2 mfc no3 Makani decent speed good grip wasnt that keen on black project and K4 bothe a bit slow and draggy. Value for money I use Makani place a big enough order with some mates and free postage. Checked the Makani fins... $360 for a Thruster setup isn't exactly cheap. SSD makes the best fins you've ever tried. Hand shaped and made to how you want them. Not badly priced either. Thruster sets, quad sets singles. Love these fins, I and have also tried the K4's which are definitely good but not as good as Stoney he's got the perfect flex worked out! Buy a fin tab repair . Stainless that wraps around front of base and firms new tab. No it's not and I know your not keen on quads, but for me a quad 2x 16cm fins WALU Twin $109 USD and 2x 8cm side fins WALU Mini Twin $49 USD That's roughly $205 AUD for a set of decent quad fins. How about an 18cm Kaku for $99 USD plus a pair of 11cm Walu mini for $49 USD ? 3. They seem to make YOU stand on the beach waaaaay longer than being out on (sorry, IN) the water. Or are we not talking about fins anymore....? 2 When the wind picks up YOU haven't stayed long enough to see ALL my tacks. 3 I like to pace myself for 4 hour plus sessions and yes I have been known to have a little chat on the beach. Yes the banter has digressed, but I'm sure we can revisit your fin observations in the next winter fronts.